May will be a fast paced, enlightening month with two eclipses. As May begins, The Sun transits your 2nd House of possessions, personal and financial. You could find yourself more focused than normal on your income, resources you share with others and your personal budget. These areas come into clear/sharp focus this month, Aries. Additionally, on 5/1, Mercury will join the Sun in your 2nd House of possessions. Expect the issue of finances and your future with regard to finances to play a big role throughout May. There will be many discussions and how you value and utilize your money will be scrutinized by others. You might find yourself looking at the future with a hint of uncertainty. 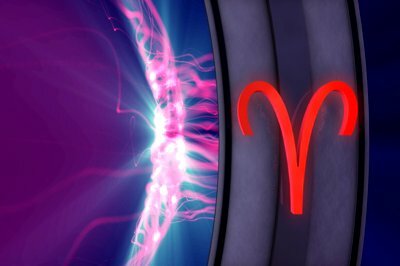 The New Moon/Solar Eclipse in Taurus on 5/9 will impact your 2nd House, and this eclipse brings Aries opportunities to bring in more money via creative and innovative methods. Don't fear change, Aries. Embrace it. New Moons equal new offers and an eclipse can make a New Moon powerful. Circle this date, 5/9, on your calendar, Aries, as the pace of daily life accelerates and your phone will be ringing off the hook. There will also be lots of gossip, rumors and buzz on many topics making the rounds on this date. Mars (your planetary ruler) begins the month in Taurus (Your 2nd House of finance and personal possessions. Taurus also rules home life and domesticity, so you can expect to be feeling connected to your home and family life strongly during this transit. You might want to take a break from your busy schedule and spend as much quality time as you can with family members when Mars transits Taurus. As you can see, there is a heavy emphasis on the second house this month as it relates to your personal, family, and overall financial security. There could be concerns or issues that worry you. You need to tone down any hint of aggression when speaking on or about these areas. Venus is all about your love life and enters the sociable outgoing sign of Gemini, your 3rd House of short distance travel, siblings and the way you express yourself both in groups and one on one. Venus in Gemini brings you the ability to speak effectively about your hopes and dreams and boosts your social life in a big way. Venus begins the month in Taurus and enters Gemini on 5/9 - 6/2. On 5/25, there will be another eclipse (this time a Lunar eclipse and Full Moon) in Sagittarius, your 9th House of overseas travel, people from foreign countries and higher learning. You will enjoy this eclipse as it falls in the complimentary fire sign of Sagittarius. Good news, Aries. The 9th House brings you opportunities to travel overseas, take an interest in publishing, higher education and people from overseas. These will be areas that bring you a sense of adventure and you find yourself becoming quite fascinated by travel, higher learning and people from distant lands. The signs of Gemini, Virgo and a Sagittarius will be involved in your activities this month, Aries.